Just how big is YouTube? JJ Cheng, the talented team at SESAC Latina, and our crew put our heads together to develop an infographic to help illustrate the enormity of the network. I work and interact with YouTube every single day and still…I’m amazed at the speed at which its growing, the reach it has across our earth, and the number of humans that engage with it. Simply amazing!! If you find this information interesting and think someone you trust might as well, please do not hesitate to share it. 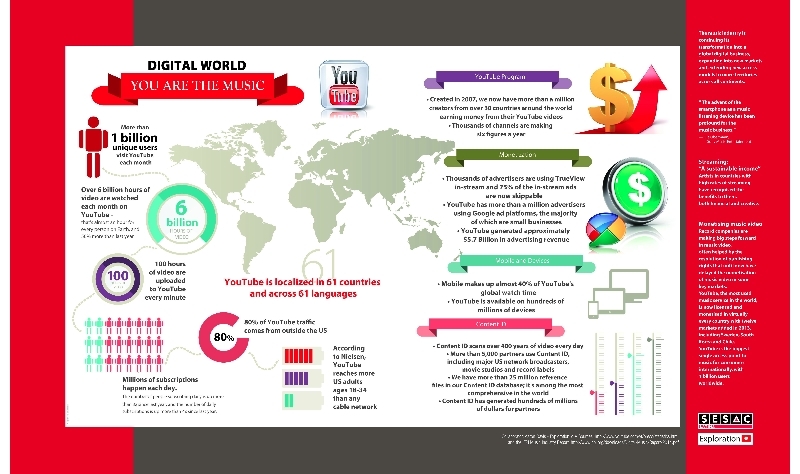 Here is a link to a PDF version of the YouTube Infographic. This infographic was featured as part of the 2014 Spring Special Edition of SESAC Latina Magazine.